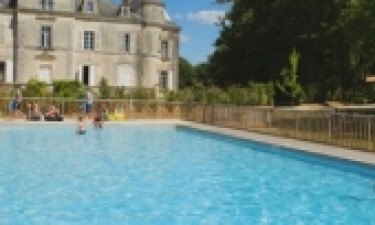 Château La Forêt luxury camping site enjoys the twin aspects of lush landscapes and the lavish luxury of a château in St Julien-des-Landes, Vendee. With a vast lagoon perched at its doorstep and a relaxing lake, this location makes an idyllic peaceful and tranquil holiday resort. The surrounding Vendee country has many tourist attractions perfect for family outings so why not contact LUX-camp today to book your bungalow tent or mobile home. Welcome to Château La Forêt Campsite. 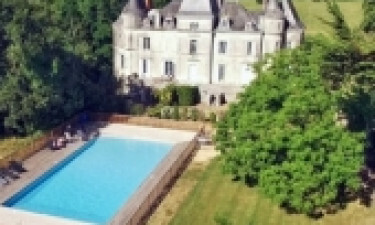 What's unique about a Château La Forêt camping holiday? Excellent choice of luxury tent bungalow and mobile home accommodation. Majestic castle setting with scenic views. Great selection of onsite activities including an adventure course. Indoor and outdoor swimming pool complex. Château La Forêt is all about luxury camping so they've provided a wide range of activities that will suit both adults and children alike. The games room has air hockey, pinball, pool tables and a variety of video games, and there are tennis and badminton courts too. If football is more your kind of game, you’ll be pleased to hear there's a pitch onsite. Bike hire and pony rides will let you travel further afield and for those who like to fish, there's the lake. The younger ones will really enjoy the designated playground. Aside from the lake, Château La Forêt enjoys a second centrepiece with its grand swimming pool situated at the foot of the château. 180 m long, it's perfect for those who want to take in the surrounding areas and magnificent scenic views. There's also a heated and covered indoor pool 4 m long. It comes equipped with a double water slide. For parents who want to chill and relax and just soak up the sun, there are sun loungers available to use on the terrace. The lively town of Les Sables d’Olonne is just a half hour’s drive south of the campsite and has a wonderful choice of bars, bistros and restaurants. It's primarily a seaside resort and home to many tourist attractions. Check out its modern and contemporary art museum; Musée de l’Abbaye. Other notable hotspots worth paying a visit are the Notre Dame de bon port church, St Nicholas Priory, the delightful lighthouses, castle-style châteaux, and the aquarium. 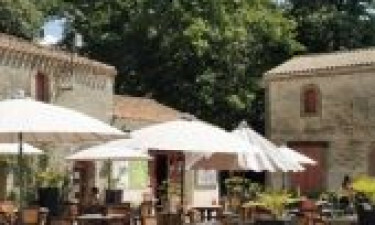 Château La Forêt luxury camping site has its own restaurant; L'auberge de la Foret. You can dine outdoors on the terrace and the menu caters for international tastes as well as typical French cuisine. There's a take-away service on the site and a lively bar where you can sample a glass of local wine or catch an ice-cold beer. L'auberge de la Foret campsite has a small grocery store for your convenience. The shop stocks everything you'll need by way of camping essentials including fresh bread and pastries. The pretty surrounding towns provide plenty more shopping opportunities.